My Look of the Day is inspired by London Collections: Men and MR PORTER’S collaboration with several London menswear designers: Mr. Richard Nicoll, Sibling and Mr. Matthew Miller, each which created pieces exclusively for MR. PORTER. Mr. Richard Nicoll – London-born and Central St Martins-trained designer Richard Nicoll is renowned for his clean, minimalist aesthetic. His first menswear collection balances graphic motifs with cool minimalism crafted from incredibly soft merino wool. 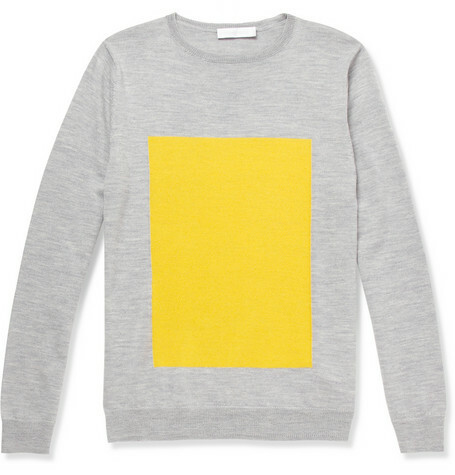 Item: Merino Wool Crew Neck Sweater Fabric: Merino Wool Color: Grey Price: $455. Sibling – “One thing that I think is brilliant at the moment is the return of the male peacock”, says Sibling designer Mr. Jo Bates, “…men are being more celebratory with the way they present themselves.” This leopard-patterned cotton-blend sweater encapsulates the cult London label’s bold approach. 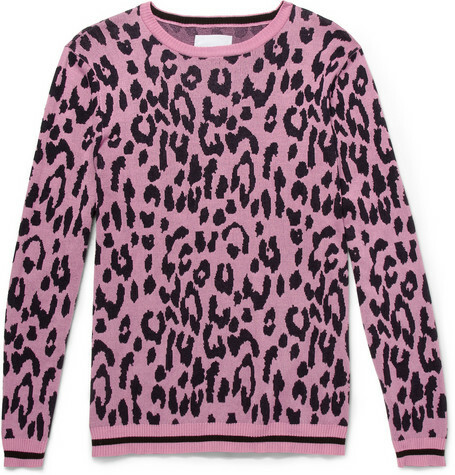 The pink and black leopard-patterned knitted cotton-blend sweater has ribbed trims with striped cuffs and hem. Item: Leopard-Patterned Cotton-Blend Sweater Fabric: 50% Cotton and 50% Viscose Color: Pink/Black Price: $320. Mr. Matthew Miller – British designer Matthew Miller plays with the ideas of function and destruction to give the humble sweatshirt an unexpected new look. The striking foil pocket has to be torn open, which gives this black cotton-jersey piece a unique and undeniably cool feel. 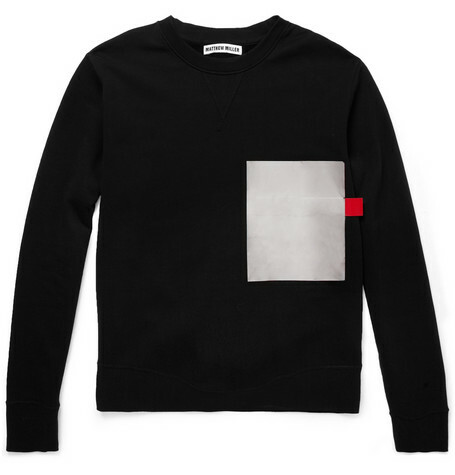 Item: Foil-Pocket Cotton-Jersey Sweatshirt Fabric: 100% Cotton Color: Black Price: $245.